Call or email us to schedule your services. Substantial accumulations of waste will mean a longer initial visit, which is billed differently from regular weekly rates (Subsequent visits after the initial cleaning, will be billed at your quoted weekly rate). 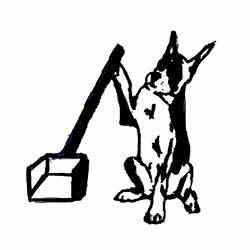 Average initial first time cleanups range between $30.00 – $100.00 depending on when the yard was last cleaned and how may dogs have been using it. Scoops charges per week for waste pick up for each dog. Each additional dog is an additional charge. Rates are based on weekly service to average size yards. Surcharges may be added if the roaming area of the pet is over sized. We offer deodorization service that is safe for pets, children, and landscaping. It is also safe to use on and around patios, lawn furniture, cement walls or anywhere urine or feces odors are a bother. Our deodorizer does not smell like a cleaner or medicinal – it leaves a nice clean, fresh scent. Pricing starts at $30 for an application. We require a garden hose that adequately reaches your dogs elimination area(s). We perform deodorization applications from April thru October. We offer a natural plant based organically formulated , safe and effective product (safe for pregnant and nursing moms and children), alternative that contains NO DEET or chemicals for treatment and prevention and elimination of ALL life stages of fleas, ticks, mosquitoes, ants, chiggers, gnats, no-see-ums, roaches, bed bugs, flies, mites, spiders, lice, fruit flies, moths, silver fish, beetles, earwigs, palmetto bugs, wasps, yellow jackets and more. It does not harm the beneficial insects like honey bees. Call our office if you would like a free estimate. You can make your payments directly to our mailing address by check. To save time, you can pay us through our “Make A Payment” button on the right of every page. We take all the major credit cards as well as PayPal or we can be set up through a clients online banking institution. For more information on our services and pricing or if you have any questions, please visit our FAQ’s page.